In the song “When I'm Sixty-Four”, the Beatles sang, “Every summer we could get a cottage on the Isle of Wight if it's not too dear. We shall scrimp and save…” That's what pops into my head every time I think about the Isle of Wight. Of course, I always preferred the Bernard Cribbins version, but the lyrics were the same. Luckily, though, a trip to the Isle of Wight doesn't have to be outrageously expensive. If you're dreaming of that Isle of Wight cottage, the activities below will help ensure you don't have to do quite so much scrimping and saving. All of them are free (though some certainly have options for spending money if you really want to). It's not all obvious stuff like “take a stroll on the beach”, either. There are some genuinely unique experiences here, from visiting a functioning Benedictine monastery to self-guided ghost tours to checking out the ruins of a hollowed-out, supposedly haunted grand estate. One note: As you're visiting various free attractions around the Isle of Wight (or just thinking about it), remember that even though they're free, most are open to donations or purchases if you feel so moved. We encourage that, especially if you enjoy yourself and you can afford it. By doing so, you're helping to preserve fine institutions and keep things free and available for those who might have tighter budgets. Quarr Abbey is a functioning Benedictine monastery not far from the Fishbourne ferry port. The Abbey features a coffee shop with cream teas, and they offer free tours from time to time. The Abbey also keeps hens and pigs you can visit, along with walking trails through their 200 acres of pasture, woodland, coastline, and gardens. Hours: Hours will depend upon the purpose of your visit, but the tea and farm shop is open daily (except Good Friday and Christmas Eve through New Year’s Day). Check website for precise times. 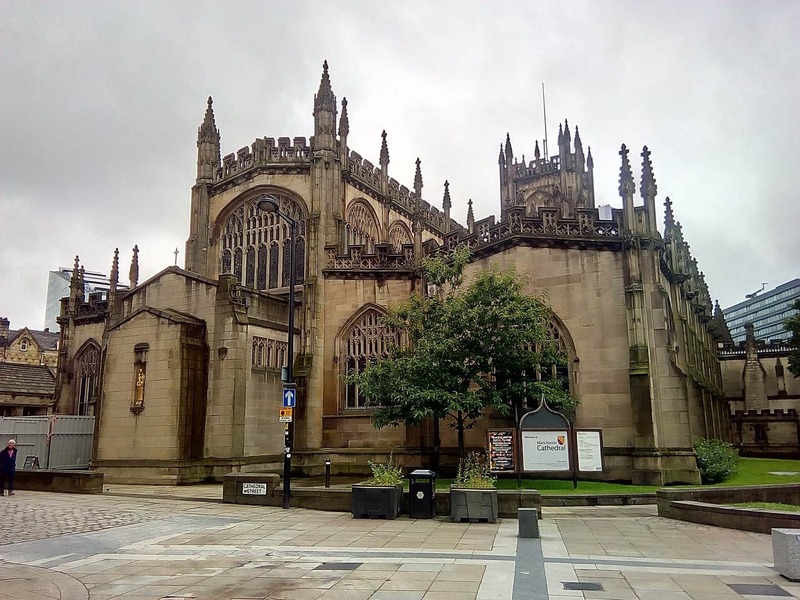 Tours are offered on the first Tuesday of each month at 11am, and every Tuesday during July and August. Accessibility: Unknown. Contact guestmaster@quarr.org for details if you need to know about specific accommodations. The Bembridge Lifeboat Station is a “Discover” RNLI station. What that means it that in addition to saving lives, this station also offers free tours in the interest of education people about the RNLI and what it does. Hours: For individual visits, simply visit the station anytime it’s open. During the summer and school holidays, opening hours are 11am – 4pm. The remainder of the time, it’s open from 2-4pm. Closed from Christmas Eve through New Year’s Eve. Accessibility: Uncertain. There is a long pier out to the boathouse, but the railing does have some gaps. Call for specific details about accessibility needs: 01983 875127 (Offshore Boathouse); 01983 875138 (Inshore Boathouse). The Newtown National Nature Reserve is part of a National Trust site that also includes Old Town Hall. While there is an admission fee for the hall (free for National Trust Members), the nature reserve is free for everyone. The primary activities of interest are bird watching (with three bird hides), walking near the estuary, and spotting dragonflies on Clamerkin pond. Accessibility: Within the nature reserve, most paths are fairly level but muddy if wet. There is a path suitable for wheelchairs through Town Copse and Seabroke bird hide. The Needles Old Battery was a Victorian coastal defence structure and secret rocket testing site, but it was closed after they realized the activity was causing the cliffs to crumble into the sea. They then built a new battery higher up on the hill. Only the New Battery is free to visitors. 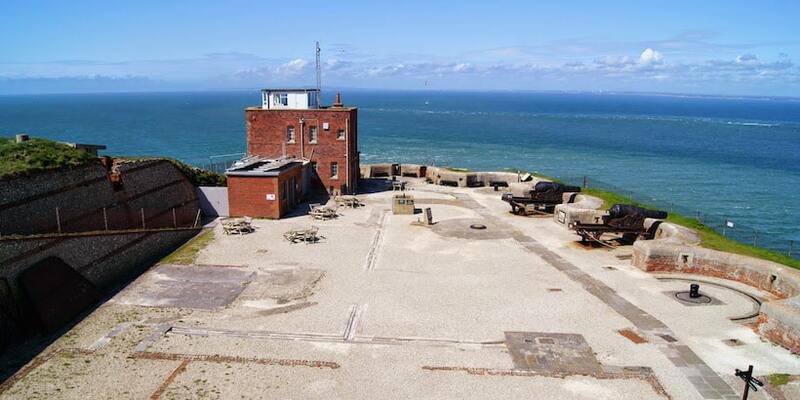 The Old Battery is free to National Trust members only. Hours: The New Battery is open between 11am and 4pm most days from spring through early autumn, and on weekends during colder months. There are some exceptions to this, so do check their website in advance of your visit. Accessibility: Induction loop and wheelchair are available, and they do offer a sensory experience. Unfortunately, the only toilet (which is adapted) is in Needles Old Battery (which isn’t free). Limited disabled parking is available, but contact the facility in advance. St. Catherine’s Oratory is a retired medieval lighthouse along the southern coast of the Isle of Wight. In 1313AD, a local Lord was ordered to build the lighthouse as penance for indulging in some plundered wine from the wreck of the St. Marie in Chale Bay. It’s called the “Pepperpot” because it looks a bit like one. St. Catherine’s Oratory is Britain’s only surviving medieval lighthouse, and it’s the second oldest. It has since been replaced by another lighthouse, but that one’s not free. Hours: Open any reasonable time during daylight hours. Accessibility: Visiting the oratory requires a quarter-mile walk across partially uneven fields. Getting to the field from the car park requires ability to handle a steep staircase. Livestock may be present. 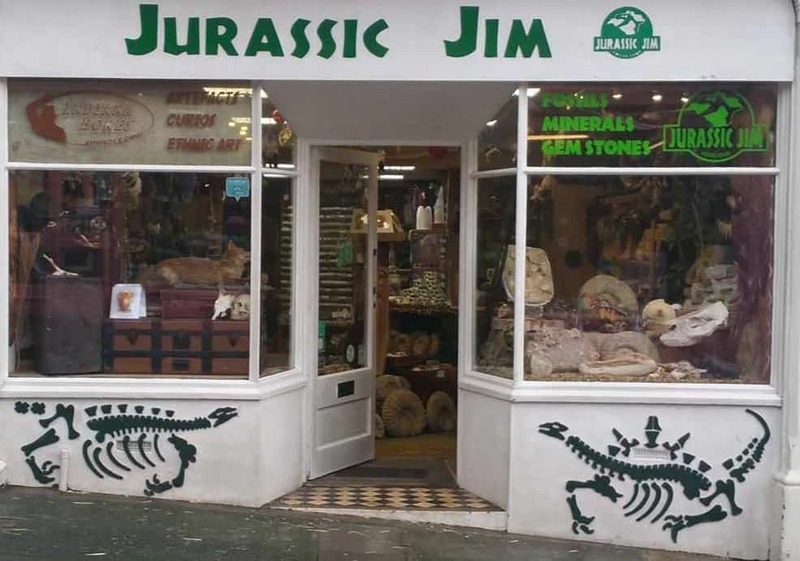 Though it’s obviously a store and there are plenty of opportunities to spend money, there’s no charge for admiring Jurassic Jim’s fossilised finds. This quirky little shop is run by Jim himself, a 50-year veteran of fossil-hunting who now sells finds to museums, collectors, and regular people alike. Hours: Monday – Saturday, 10am – 4pm. Accessibility: One-level shop. Call 01983 864577 if you need details on specific accessibility issues. The Garlic Farm is a free to enter family-oriented attraction. They offer free tasters of their products, and you can roam their property or take a tour. The education center is also free to enter. They do, of course, offer plenty of ways for you to spend money in their shop, restaurant, or holiday cottages. Hours: Daily from 9am – 5pm. Check their website for special events or evening openings. Accessibility: Unknown. Email contact@thegarlicfarm.co.uk or call 01983 865378 to enquire about specifics. While there’s no shortage of beaches on the Isle of Wight, Brook Beach is known as a hotspot for fossils, particularly dinosaur footprints. There’s a fossilised forest of trees that appears under the waves at Hanover Point during low tide, along with a sandstone ledge that shows the fossilised footprints of dinosaurs. While some sources recommend a tour guide for easier spotting, you can certainly do your own research and try it alone. Accessibility: Poor. Being a beach, the terrain here is wet and uneven. The Lavender Farm is set on 183 acres of countryside, including 50 acres of ancient woodland. While it has been a farm for hundreds of years, it’s only recently they’ve begun growing lavender. In addition to lavender, the farm is also home to a plant nursery and sheep farm (Dorset Horn Sheep, specifically). The farm, restaurant, and shop are free to visit. Hours: Every day but Monday, 10am – 5pm. Accessibility: Unknown, but as a working farm, it may be challenging for many. Contact thefarm@lavender.co.uk or call 01983 530097 to enquire about specifics. Appuldurcombe Manor is particularly fascinating because on the outside, it looks like a fine estate. On the inside, however, you can see the building is little more than a shell. Many original architectural details remain, though, making this a short but fascinating excursion. 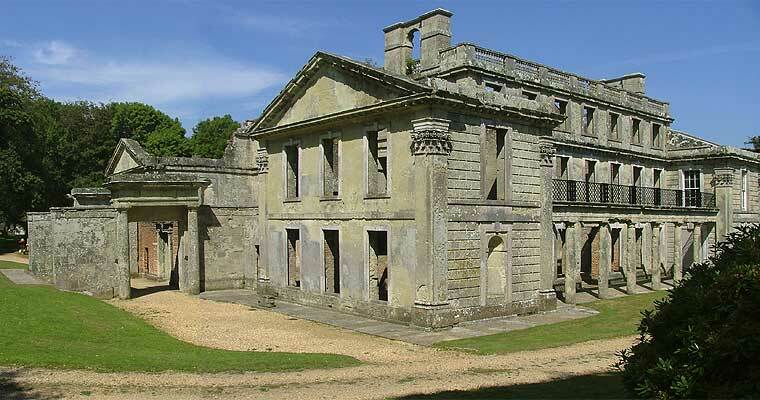 Appuldurcombe House is one of the few English Heritage buildings you can enter for free. Most of their free-to-all locations are much older ruins or monuments. According to Ghost Island Isle of Wight Ghost Books, this building is believed to be haunted by a phantom carriage, brownclad monks, and dark shapes. Hours: 10am – 4pm, Sunday to Friday from April to October. Accessibility: A dirt path around the site is largely suitable for wheelchairs and buggies (but unsuitable in the rain). There are no toilets onsite. Rosemary Vineyard is one of the largest producers of English wine, and their farm covers roughly 30 acres. The farm offers free guided winery tours that go over the process and include a free tasting. Tours last roughly 30 minutes. Hours: Tours are available on Saturday, Sunday, Monday, and Tuesday at 11am, 12pm, and 1pm. Booking is not necessary, but it’s advisable to check their site to verify hours before your visit. Vineyard opening times vary by season and day of the week, but they typically open at 10am and close at either 4pm or 5pm. Check website for specific dates. Accessibility: Unknown. Call 01983 811084 or email info@rosemaryvineyard.co.uk to enquire about your specific needs. While a train ride here won’t be free, any train buff will appreciate a visit to the general area of the station to spot the trains going in and out. 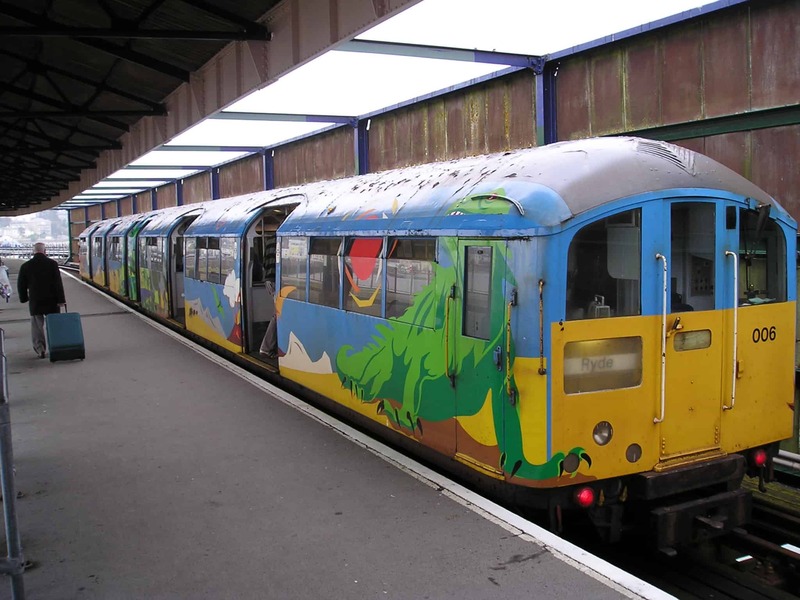 Here, you’ll see 1930s London Underground trains still in service, and you may catch a glimpse of the Dinosaur Train (a train decorated with dinosaurs to celebrate the island’s dinosaur-rich history). Hours: Most trains here run at 20/30/40 minute intervals throughout the day. If there’s a specific service you wish to spot, check the schedules. Accessibility: If you choose to take a ride, note that there is no staff help available. However, there is a ramp for train access and step free access coverage. Though there are a couple of free paddling pools around the island, the Ventnor Paddling Pool is particularly interesting because it includes a modern of the Isle of Wight that rises up from the middle of the pool water. The pool is intended for toddlers, but adults can opt to pony up a bit of cash to have a drink or snack while watching the kids play. Accessibility: The pools are meant for children, but the water is shallow. On an uncrowded day (or a day when the area is populated by considerate people), it should be reasonably possible to assist a child with many forms of disability. Ventnor Park is an award-winning “park for the people” with plenty to see and do. Their website recommends walking along the stream to see the koi, visiting the ducklings in spring, checking out the budgies in the aviary, using the free outdoor gym, or checking out a free concert at the bandstand. There’s also a putting green and a 1 kilometer scenic jogging route. Hours: Concerts happen from 2-4pm every Sunday and Bank Holiday Monday from April through the end of September. The park is open 24 hours. The Cowes Maritime Museum tells the history of Cowes and its maritime heritage. The museum also includes an extensive paper archive that’s only viewable by appointment (in case you’re REALLY into maritime history). In 1979, Sir Max Aitken created a charitable trust to ensure his extensive collection of artifacts and paintings could be enjoyed for years to come. Though he passed in 1985, the museum continues on. Hours: Tuesday – Saturday, May – September, 10am – 4pm. Accessibility: Due to stairs, this attraction is not accessible to those with mobility problems. For other accessibility issues, contact the museum directly at 01983 293800 or sirmaxaitkenmuseum@gmail.com. 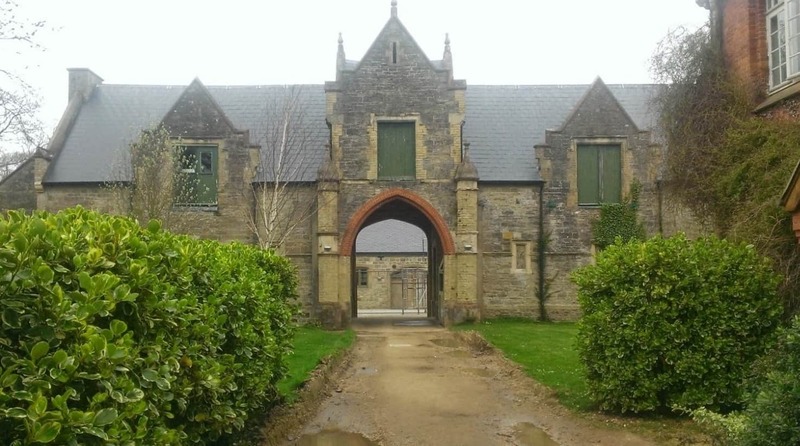 In a row of quaint thatched cottages alongside the Brighstone Community Library, you’ll find the Brighstone Village Museum. Here, you can enjoy a small exhibition on village life in the 19th century. Hours: Open during library hours. Closed Monday, Wednesday, Friday, and Sunday. Open 9:30am – 12:30pm Tuesday, 1:30pm – 4pm Thursday, and 10am – 4pm on Saturday. Check website to verify, as attractions with highly specific and limited hours are often more prone to sudden change. Accessibility: The library has induction loops. As an older building, there may be some challenging areas for the mobility impaired. You can call the library at 01983 740446 to enquire about your specific needs. Rylstone Gardens is a free attraction featuring gardens, a tea room, and crazy golf. Though there isn’t as much going on here as in many other areas, it’s a popular place for red squirrel sightings. Hours: Open during reasonable daylight hours in the summer. Accessibility: Poor. Parking in the area is minimal, and there are reports of visitors being denied access to toilet facilities. There is a disabled toilet nearby, but online reviews suggest you may not always get access unless you’re a paying customer of a nearby shop. Ghost Island is an Isle of Wight business that operates a series of local ghost tours. While most of their offerings come with a fee, you can download a free map of The Old Cowes Ghost Trail to conduct your own spooky walk around the island. Hours: Anytime you like, though some locations on the self-guided tour may be restricted at times. Accessibility: Most of the walk will be accessible via public roads and sidewalks, but if you plan on going inside the listed stops (where allowed), you’ll want to check with them about any mobility concerns you may have. The downloadable walk guide is available to print, but we’re not aware of an audio version for the visually impaired. 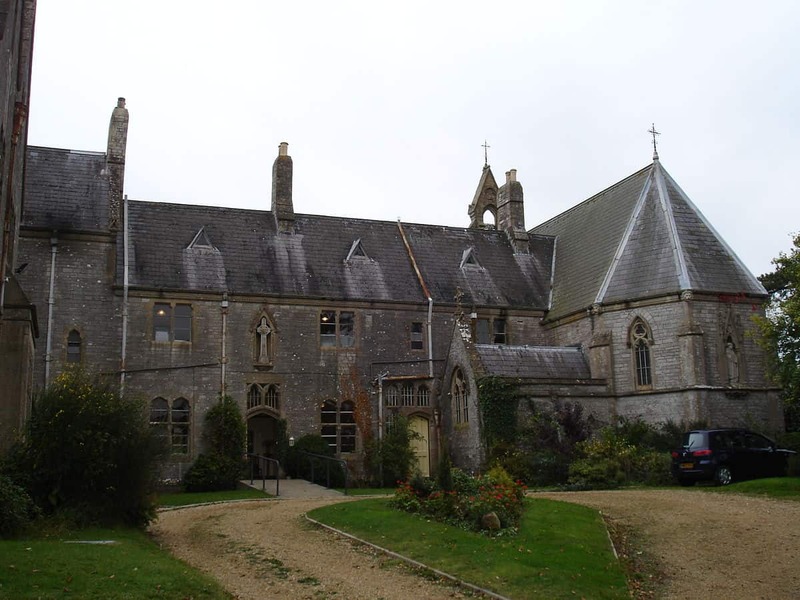 Carisbrooke Priory is former nunnery that’s been repurposed as a Christian House of Prayer and Healing. They are open to all, specifically “those looking for peace of mind”. The grounds feature a garden, courtyard, and chapel, along with a small tea room with cream teas and simple food like jacket potatoes or quiches. There’s also a bookshop on site. Hours: The house and gardens are open on weekdays from 10am to 4pm (except bank holidays). Accessibility: Generally accessible. Call 01983 523354 or email opendoor@carisbrookepriory.org.uk for specifics. Quay Arts is a designed to promote the arts to visitors and residents of the Isle of Wight. In addition to a shop, cafe, and robust set of paid courses, they offer regularly rotating exhibits that are always free. Accessibility: They advise that wheelchair users may find the terrace entrance in Sea Street easier, and their website includes videos detailing accessibility around the building. Both floors have disabled toilets, and there is a lift to get from one floor to the other. For any other needs, they recommend contacting them by phone at 01983 822496 or by email at info@quayarts.org.